On 28 November 2017, Catherine Byrne (Minister of State) and Dr Tony Holohan (Chief Medical Officer) signed an open letter to the Taoiseach, all Government Ministers and all heads (Secretaries General) of Government Departments. The letter reminded the Ministers and Secretaries General of the nation’s obligation, as a WHO FCTC Ratifying Party, to implement strict and transparent interactions between the government and the tobacco industry. 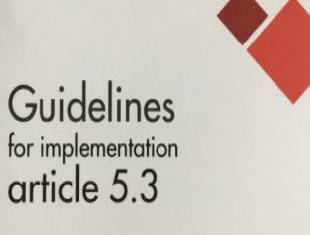 It asks that copies of WHO FCTC Article 5.3 be distributed to officials within all government departments and any state agencies that may have interactions with the tobacco industry. It was also copied to all other government ministries. The letter specifically highlights subsections of the article: interactions with the Tobacco industry; partnerships with the Tobacco industry; conflicts of interest; and preferential treatment. Tobacco is the leading cause of preventable death in the world. Ireland is no exception, with tobacco responsible for a total of 6,000 preventable deaths a year. The Irish government has made considerable progress towards tobacco control. Their ‘Tobacco Free Ireland’ policy aims to reduce tobacco prevalence to under 5% by 2025. Two key themes in their campaigns are the protection of children and the denormalisation of smoking. The 2016 Annual report on the Tobacco free Ireland Action Plan was released five days earlier on 23 November 2017. Recent key achievements include: the rollout of standardized packaging of tobacco products, the improvement of data gathering in schools, increasing tobacco prices and campaigns and support for smoking cessation services. Catherine Byrne’s recent dealings with the Irish Tobacco Manufacturers’ Advisory Committee (ITMAC) doubtlessly influenced the publication of this letter. Although recently appointed Minister of State for Health Promotion in June 2017, she has been a longstanding opponent of tobacco and the tobacco industry and a supporter of tobacco-free initiatives. In September she publicly recounted attempts by ITMAC to initiate a private meeting. In return, she cited WHO FCTC Article 5.3, which states that government officials should not be affected by ‘vested interests in the tobacco industry in public health policies’. Speaking to The Times, she said that she rejected communication with all industry lobbyists as ‘meeting even one would open a hornet’s nest’. In response to claims that the meetings were to regard WHO FCTC implementation, specifically plain packaging, she said that ‘sometimes you meet about one thing but end up discussing another issues. Once you sit down with someone it’s hard to say sorry and get up and leave’. Her conduct is exemplary, demonstrating impeccable fulfilment of the Convention. Ireland is taking promising steps towards tobacco control and prevalence reduction. This letter sets an example to other Parties struggling with tobacco industry interference. It will be interesting to follow Ireland’s continued progress in tobacco reduction in the future. For more information please contact: Dr Fenton Howell, National Tobacco Control Advisor, Tobacco and Alcohol Control Unit, Department of Health, Ireland (e-mail: Fenton_Howell@health.gov.ie).